Amy Barsanti (Mecklenburg County) – Barsanti is a certified master social worker and the admissions director for the Department of Social Work at the University of North Carolina at Charlotte. Angela Atkins (Mitchell County) – Atkins is a social worker with Mitchell County schools. Patricia Morse (Jackson County) – Morse is a licensed clinical social worker and a certified master social worker, as well as a professor at Western Carolina University. This is a reappointment to the board. James Turner (Wake County) – Turner is a licensed clinical social worker/therapist at Turner Counseling and Consulting PLLC. Garlande Powell (Columbus County) – Powell is a licensed clinical social worker at Agape Counseling Associates. The board regulates the practice of social work through credential reviews, examinations, standards or experience, professional references and continuing education. The term length is three years. 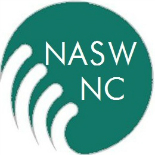 This entry was posted on August 14, 2014 by naswnc in Membership and tagged Advocacy, LCSW, licensure, MSW, NASW, NASW-NC, National Association of Social Workers, North Carolina, social work, social work licensure, social work north carolina, social workers.